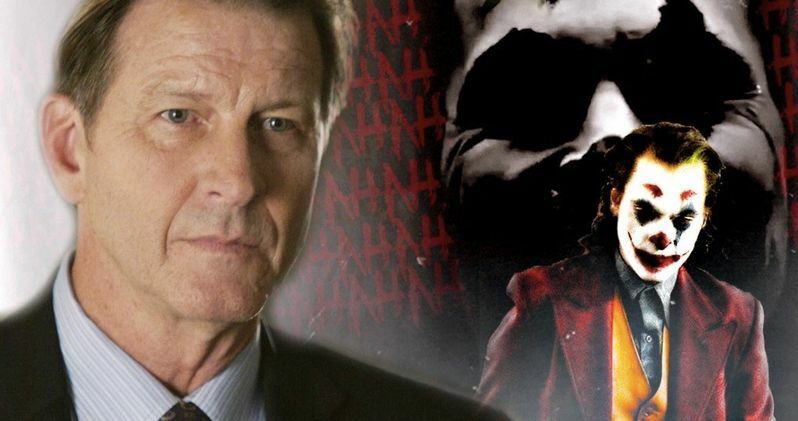 Our first look at Brett Cullen's Thomas Wayne has been revealed in newly leaked Joker set photos. Todd Phillips continues to film with Joaquin Phoenix around New York City, which has given fans a pretty in-depth look at the production process. Phillips knew that they'd be filming the lower budget project out in the open, which led to the director releasing a teaser video of Joaquin Phoenix in full Joker makeup right as filming started, in an effort to beat the leakers while ensuring that something of quality was seen first. In addition, Shea Whigham has provided some new character information. Alec Baldwin was originally attached to portray Thomas Wayne in Joker, reportedly as a Donald Trump-style character. However, the actor quickly pulled out of the project as the news about his involvement in the project became public. Brett Cullen was quickly chosen to fill Baldwin's shoes as Batman's dad, and the latest set photo leaks show him in character on the set, though they don't really give away any further information about the story or what's going on in the scene. In other Joker news, actor Shea Whigham has provided some information about his character as well as Bill Camp's character. While we've seen a number of images from the set of Todd Phillips' Joker, there's still a lot about the storyline that is currently unknown. In addition to character info, Whigham also shed some light on the beginning of the film. He had this to say. "I'll say this, Bill Camp, from The Night Of, is one of our great actors. He's finally getting his due. He and I play two cops from Gotham P.D., in 1981 when the city was tough. We're investigating something that's just happened, at the start of the piece. We're trying to get to the bottom of it, and it leads to where it leads to..."
Warner Bros. and DC Films are pulling Joker out of the DCEU for Todd Phillips' take on the Clown Prince of Crime. While DC fans were more than a little skeptical of initial reports involving Joaquin Phoenix inhabiting the role, the leaked set photos and videos have gone a long way in building up hype for the project, and Phoenix's portrayal of the Joker. Everything looks different than originally thought, which is definitely a good thing. As filming on Joker continues, we expect to see a lot more pictures and video from the set finding their way online. The movie won't be hitting theaters until next year, so we have quite a while before we see any official footage or get any in-depth information about the storyline. But, at the very least, DC fans know that the project is being worked on and will see the light of day, which is more than some of the studio's other previously announced projects. You can check out the latest Joker set photos below, thanks to Just Jared.